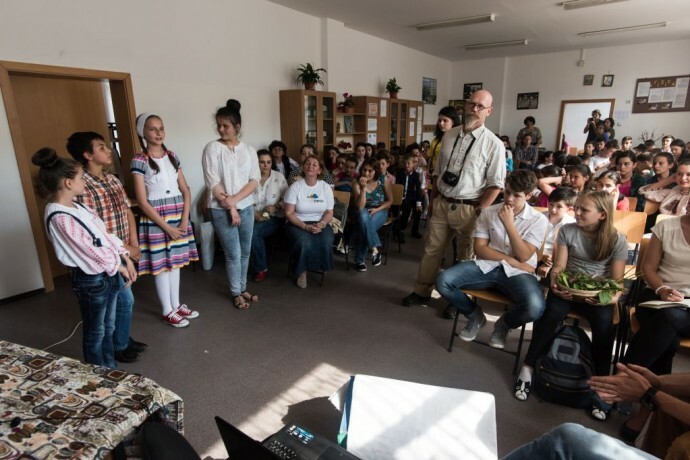 On June 6, HSH Princess Theodora von Liechtenstein and HSH Prince Alexander von Liechtenstein visited Romania with the Green Teen Team Foundation to launch a school programme with young students from Armenis and Teregova, together with Rewilding Europe and WWF Romania. Theodora is the founder of the foundation whose objective is to help to save endangered species of plants and animals to conserve our planet’s biodiversity. This is done, in part, by empowering children to be able to make changes to their lives, consequently the lives of others and the life of the planet. 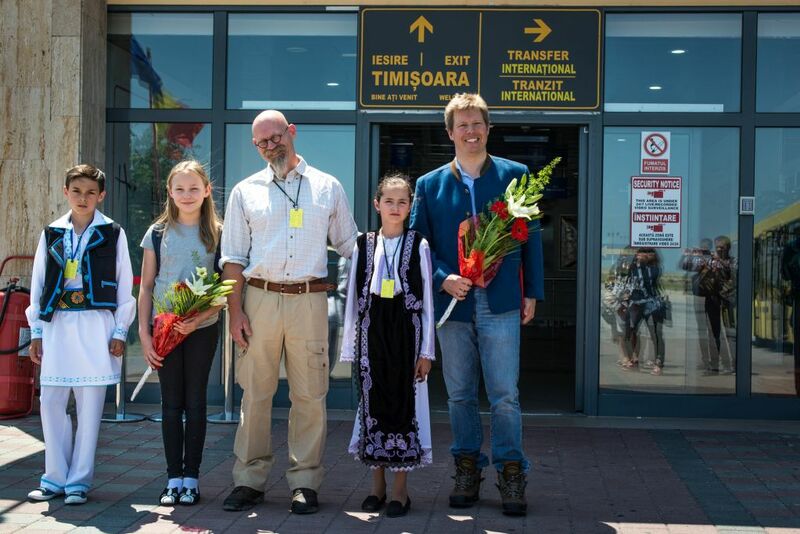 This is the first visit of Prince Alexander of Liechtenstein and his daughter HSH Princess Theodora to Romania. 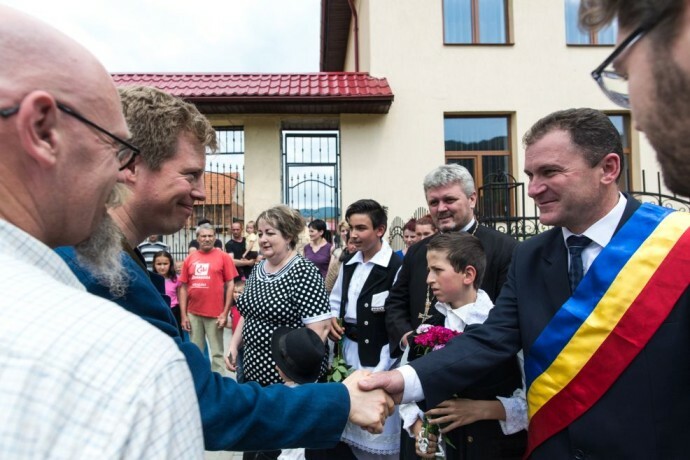 It was an honour that one small commune in the Southern Carpathians was their first choice in Romania. 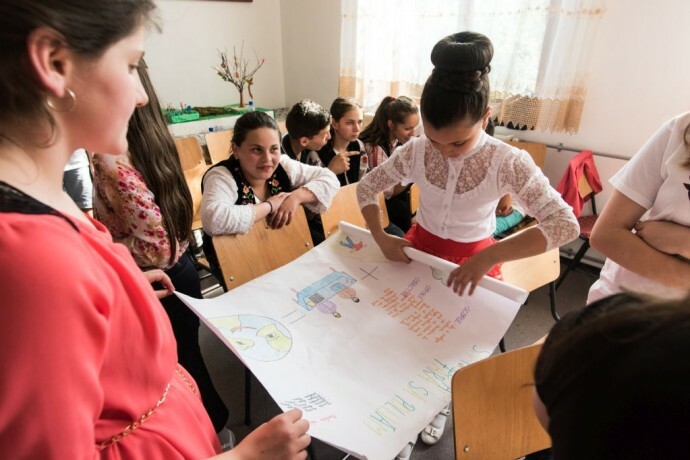 “Armeniș reminds me of my childhood – the rural untouched landscape, the pockets of natural forest, pastures, clear mountain streams and warm hearted people living a simple life in harmony with nature. 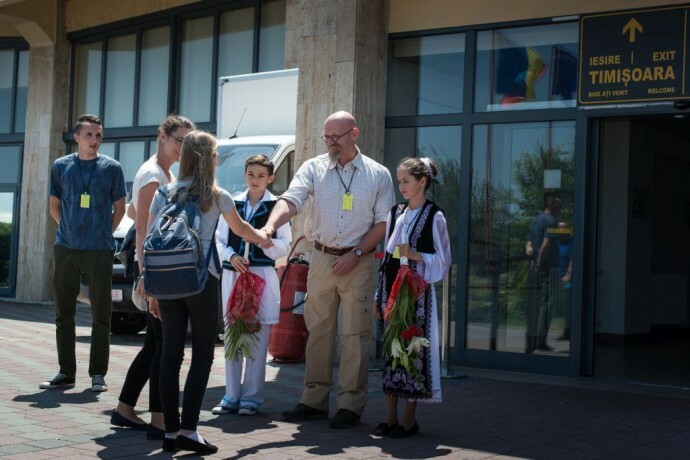 I am delighted to have had the chance to see a glimpse of my younger days and what I hope remains untouched in the future, for Romania”, says Prince Alexander. 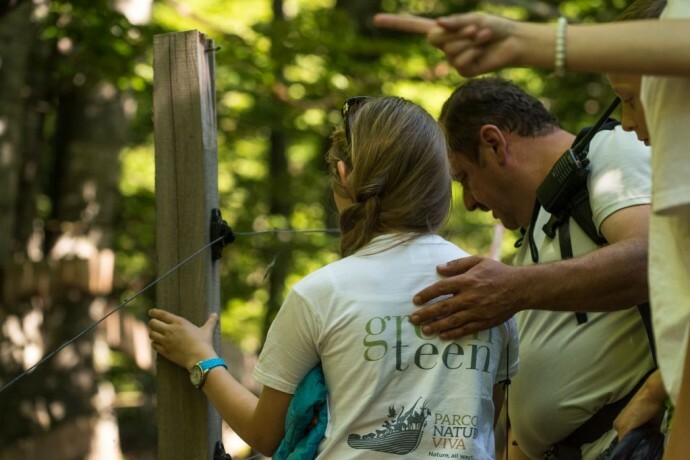 Princess Theodora’s Green Teen Team Foundation set a challenge for schools in the Southern Carpathians located near the area where Rewilding Europe and WWF Romania have established the bison release area, called Bison Hillock. The challenge for the children was to initiate a small conservation project and implement it in the next two years. 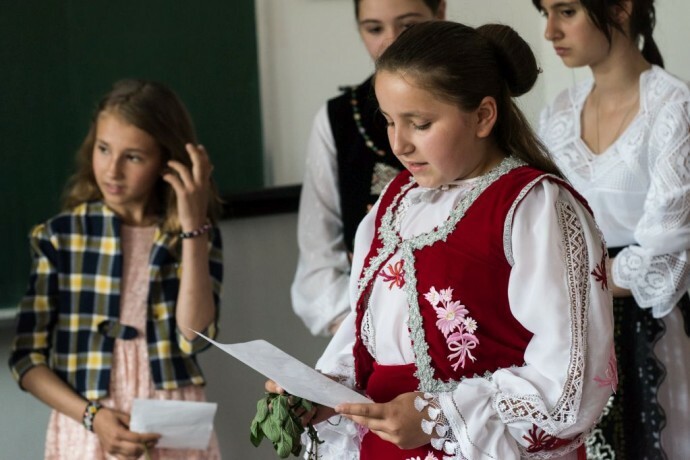 Children pitched their project ideas to Princess Theodora and other GTTF members during the visit. 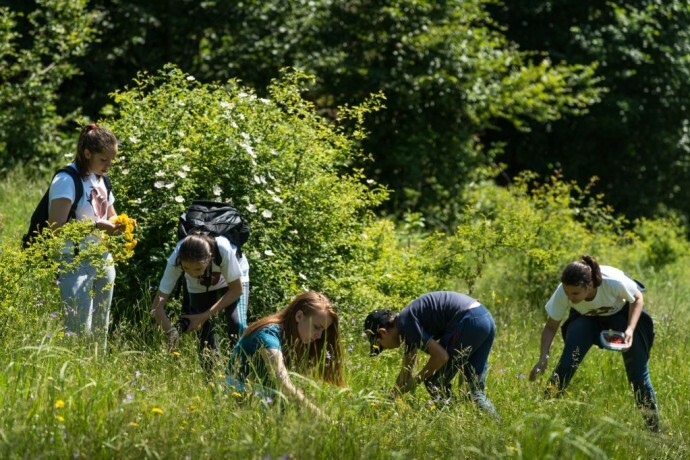 Project proposals included an initiative to collect medicinal wild flowers and promote their benefits to the wider public and make remedies to send to poorer countries where even regular medicine is scarce and nature is not as rich. 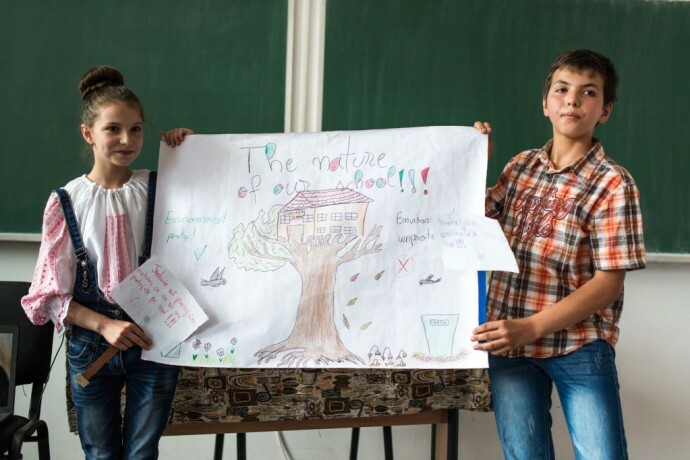 Other initiatives were a reforestation project, eco-summer camp run by the children, an initiative to transform art classes into craft for purpose classes, upcycling and making useful objects. Also very interesting pitches were about a campaign to raise awareness about endangered species amongst hunters and an innovative mobile bridge for animals faced with difficulties by habitat fragmentation. 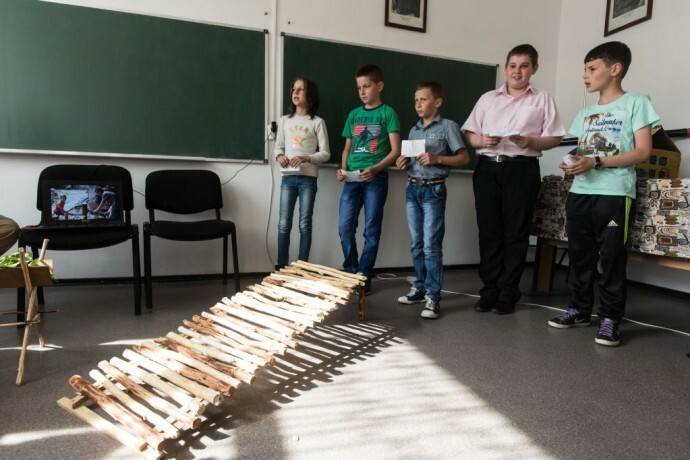 HSH Princess Theodora awarded the mobile bridge project and the reforestation project with an honours awards and a special Green Teen Team Foundation (GTTF) memberships which represent an ongoing collaboration with other GTTF members from across the world. “It was an amazing experience for everyone!. 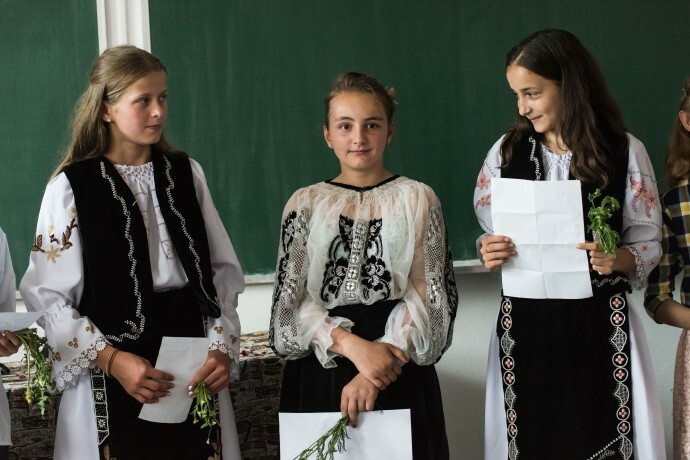 The competition entries were excellent and we are happy that they all won prizes and that the all the projects can be implemented over the next two years with the help of Green Teen Team Foundation, Rewilding Europe and WWF Romania”, says Princess Theodora. 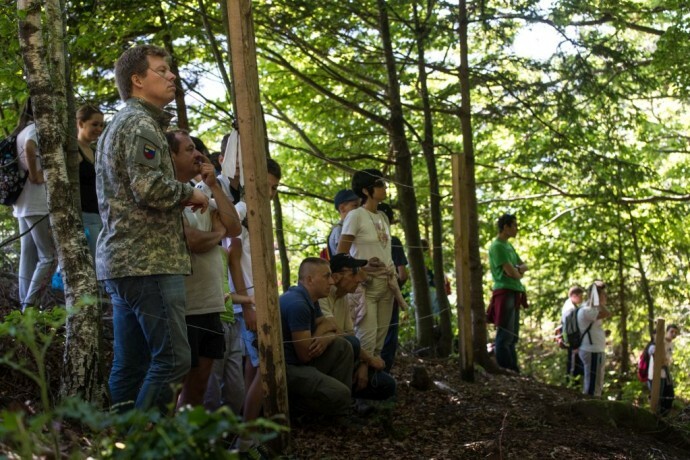 On the second day, the kids, the princess, the rangers and team members of Rewilding Europe and WWF Romania went up to bison Hillock to observe the bison. 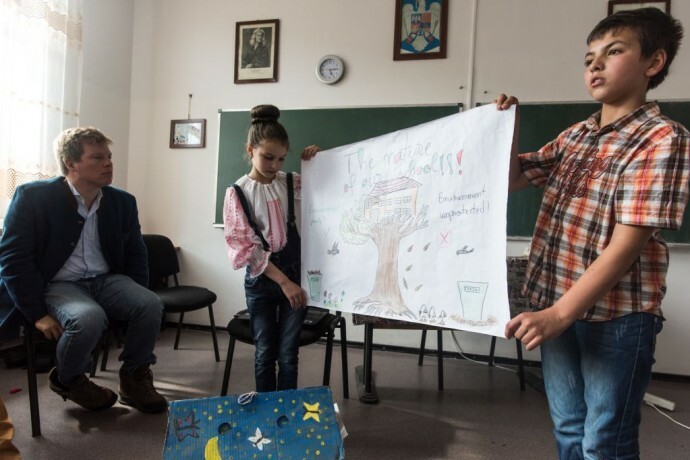 Daniel Hurduzeu, one of the rangers in Armenis demonstrated to the kids how telemetry works as the group sought to find the bison in the 150 ha rewilding area, two of which have been equipped with radio collars. 14 bison of the founding herd in the Bison Hillock are now only a few days from being released into full freedom in a protected area of 59 000 ha. The bison were not easy to find as their behaviour has changed over the past year, just as it should be for wild animals. Luckily they found them in a dense forest as they browsed the tree barks. 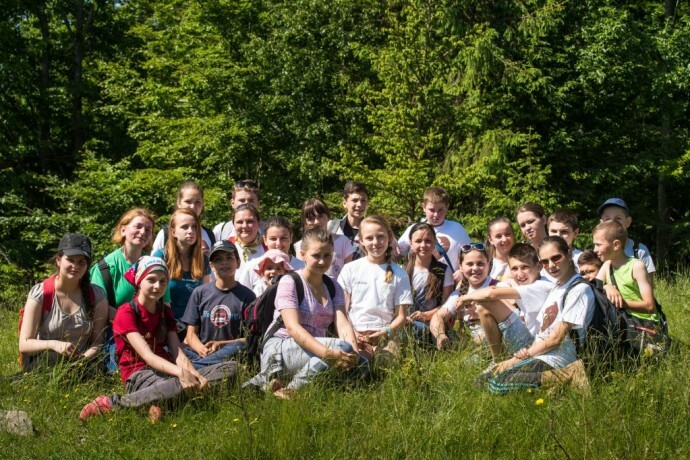 The Green Teen Team Foundation visit comes days before a historic moment for conservation in the Southern Carpathians rewilding area. Țarcu Mountains will be home to the second herd of wild bison to roam free in the Southern Carpathians for two centuries. Bison reintroductions in the area over the next 10 years will help this charismatic species to get out of the danger zone making the value of wild nature and wilderness areas embraced by local communities. 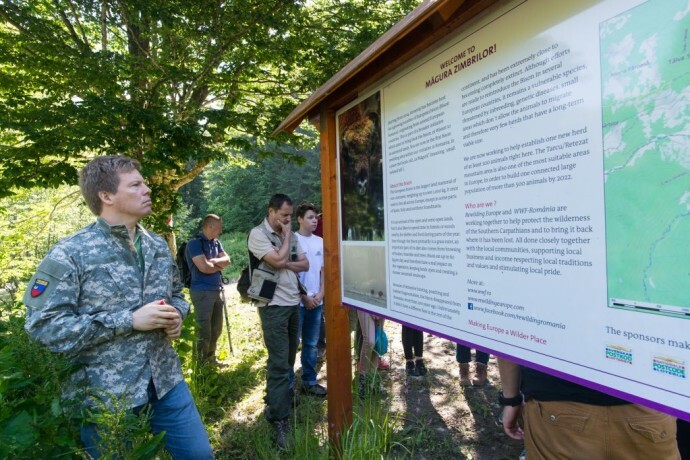 Rewilding Europe and WWF Romania, together with national and international partners are working to create a sustainable development model in the Southern Carpathians by valueing one of the largest wilderness strongholds in Europe. 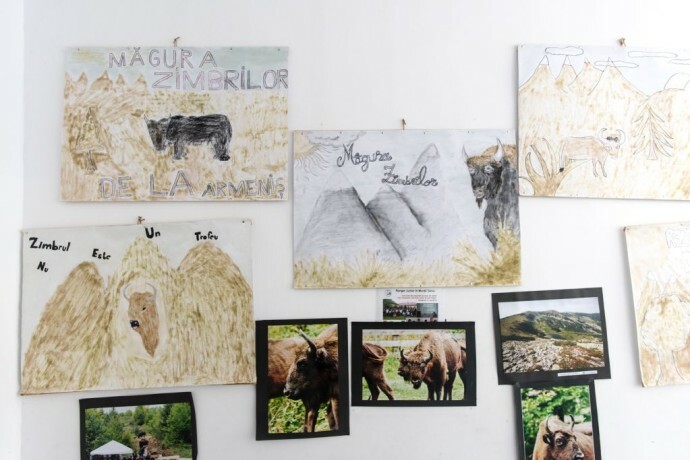 With the rewilding approach, it is envisaged that local communities’ wellbeing can be sustained through nature-based enterprises connected to the largest national bison reintroduction plan in Europe.